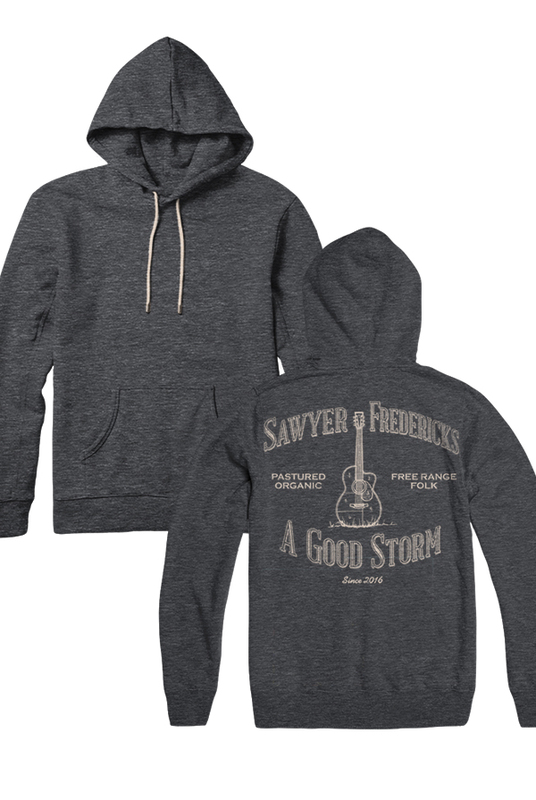 Sawyer's Free Range Folk, A Good Storm Design, Charcoal Hoodie was highly sought after during Sawyer's A Good Storm Summer 2016 Tour. 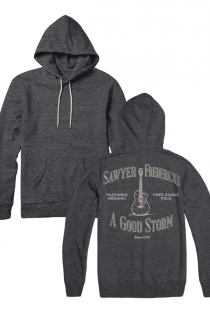 Sawyer's Free Range Folk, a Good Storm Charcoal Hoodie, is a tri-blend of 50% polyester, 37% combed cotton and 13% rayon. The Hoodie is a deep heathered grey, giving it a textured appearance, and it is super soft. 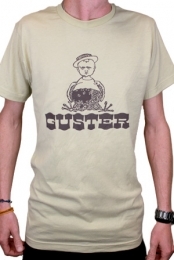 The Hoodie's ties are a chunky, natural colored cotton. Sawyer's Free Range Folk, A Good Storm Charcoal Hoodie, is breathable enough for late summer evenings, while still cozy enough for the late fall chill. Layer it with a Storm Bearer Long Sleeve Tee and top it off with a Signature Skull Cap and you'll be set for winter. Sawyer's Free Range Folk, A Good Storm Design, was crafted by Kirsten Fredericks.